1. 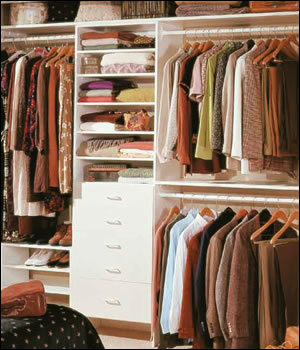 Coordinate your clothes around one or two basic colors. This cuts down on the number of shoes and accessories you have to bring. 2. Take as few clothes as possible. Plan on laundering. One person suggested one week's worth of clothes. I take fewer unless they are my washable silks. 3. Wear and carry washable silk clothing whenever possible. It is as warm as and as cool as cotton. It dries overnight and 10-15 pieces take no more room than two pair jeans. There are some other manmade fabrics that travel as well if not better, but they cost quite a bit more. 4. Plastic rain coat can double as a bathrobe or windbreaker. 5. Take older clothes that can be discarded along the way. Great for growing children. Many places, the local people are pleased to get these castoffs. There are travelers who take nothing but old clothes so they have that much more room for bringing souvenirs home. 6. Jeans - I never take them as they take so long to dry. If both the time and money for laundering are concerns, take lighter weight pants. I used to do that too, packing everything, but the kitchen sink. And now I am sort of trying to get smart in my luggage. I take items that I can mix and match with other items so it will look like a totally different outfit. Jeans are really heavy to take and takes up a lot of space in yor luggage. Thanks for the tip!